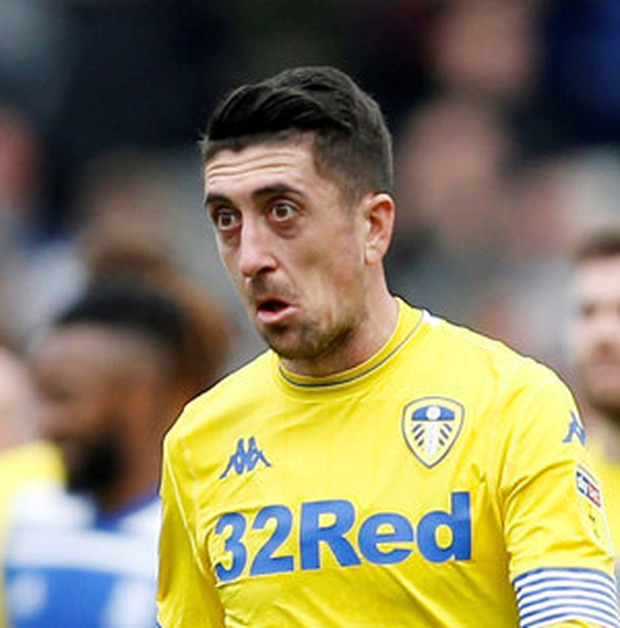 Having suffered the setback of losing their place in the top two with this defeat, Leeds United may have to contend with another if injury fears over playmaker Pablo Hernandez are realised. The midfielder, who has been the team's most valuable attacking player, with 12 goals and 11 assists, left St Andrew's after a 1-0 loss to Birmingham with his left foot in a protective boot, raising immediate questions over his fitness for the trip to Preston tomorrow. A club source said that although Hernandez completed the match, he had been kicked on the leg and was wearing the protective boot as a precaution. A closer assessment is planned for today. Hernandez had been less influential than usual here, which was a tribute to Birmingham manager Garry Monk's tactical planning. Monk knows Hernandez better than most, having signed him for Leeds from the Qatar club Al-Arabi after previously working with him at Swansea. A 29th-minute goal by Che Adams was enough to earn Birmingham a second win over Leeds this season. "Pablo is a big influence on how Leeds attack," Monk said. "He is their biggest supply line, that's for sure. He's the one who can deliver that and scores goals himself. "But we did well with him today. We managed to squeeze him out of his normal positions, and to a place where he can still hurt you but you have a better chance of dealing with it. "That showed in the second-half when Pablo had to come deeper and hit more 30 to 40-yard passes rather than those little five, 10-yard passes, so credit to the players for following that plan." Monk left Leeds abruptly in 2017 amid misgivings about the future after a change of ownership, but he would be as happy to give them some help this week as he is to have dealt them a blow. Birmingham, who have dropped uncomfortably close to the relegation places as a result of their points deduction, on Wednesday face Sheffield United, whose win at Preston pushed Leeds down to third. "Leeds and Sheffield United have every chance (of promotion)," Monk said. "But you see it all the time at this stage of the season - there are ups and downs, twists and turns. "Hopefully, we can give them a twist, like we have with Leeds, but the focus is on ourselves. We need the three points and must fight as hard as we did today."